Marcy Jean Brenner holds a degree from Oberlin College, studying harpsichord and viola da gamba. Her teachers have included Lisa Crawford (harpsichord) and August Wenzinger, José Vásquez, and Wieland Kaijken (viol). Having gone to Vienna as a Fulbright scholar, her career centered in Europe for 28 years (freelancing, teaching and recording). Since moving to Florida’s First Coast, Marcy has branched out. She is a founding member of Savannah Baroque, plays Irish Music on cello in Linda Minke’s group Celtic Fire, studies and performs on djembe with Ken Anoff’s Time to Drum, and sings with the Jacksonville Harmony Chorus. Marcy plays on instruments built by her son’s father, Matthias Boelli. His seven-string French model is her favorite. Tony Cruz discovered a love for singing almost at the same time he learned to talk. He majored in music at Jacksonville University where he studied voice and organ, but his first love has always been choral music, especially music in service to the church. He has served in various musical capacities for a variety of denominations in the Jacksonville area. He came to St. Mark’s Evangelical Lutheran Church in 2006 as Cantor. There he serves as the organist and directs the Festival Choir and the St. Mark’s Ringers handbell ensemble. Tony is an active member of the Jacksonville Chapter of the American Guild of Organists and the Association of Lutheran Church Musicians. He is also pursuing a Master of Arts in Church Music degree at Trinity Lutheran Seminary in Columbus, OH. 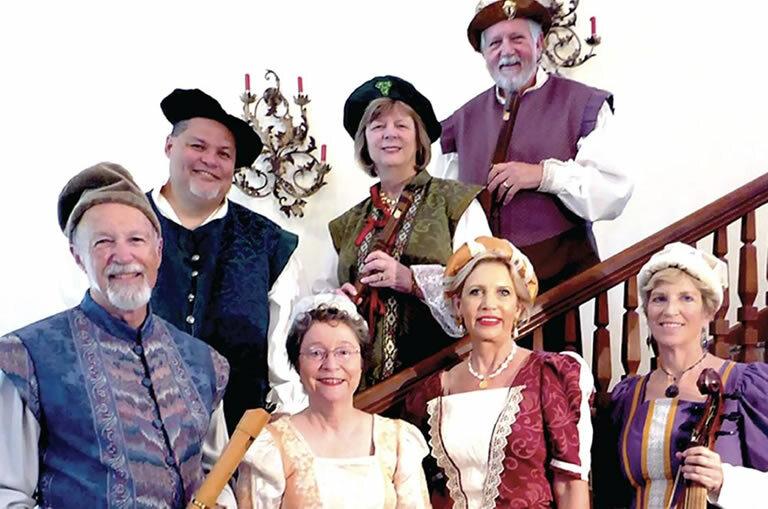 Patricia DeWitt holds a Ph.D. in musicology from the University of Michigan, where she was assistant director of the Collegium Musicum and directed music for Medieval Festivals. She performed with a Baroque ensemble at Shorter College in Rome, Georgia, taught music history and directed the instrumental ensembles for its Madrigal Dinners. From 1989 to 2003, she directed chamber choral groups performing sacred and secular music of the Renaissance and more recent music inspired by that tradition, including complete masses and dramatized madrigal entertainments. In 2012, she retired to Jacksonville from a significant non-musical career as a college administrator, an organist/choirmaster position, and the ensemble for The Play of Herod in Atlanta. In 2015, she organized RareSong. She is currently Dean of the American Guild of Organists, Jacksonville chapter, and a supply organist. The DeWitts both earned undergraduate degrees from the University of Florida, majoring in organ performance. Peter DeWitt’s DMA in organ performance is from the University of Michigan. He retired to Jacksonville after 37 years as professor of music and theory and college organist at Shorter College in Rome, GA. During that period, he performed as soloist and collaborator as organist, harpsichordist, pianist, singer, and actor throughout the Southeast and occasionally in Germany, France, Scandinavia, Russia, England and Spain. In 2000, he made several presentations of the complete Clavierubungs of Bach as a series of five concerts. He is a past president of the Southeastern Historical Keyboard Society, and past treasurer of the Atlanta Baroque Orchestra. He was coordinator of the American Guild of Organists Southeast Regional Convention, which took place in Jacksonville and St Augustine in June 2017. Barrie Mosher has studied with Antonia Brico (conducting), John Holmes (oboe), James Eversole (composition), and Hale Smith (composition). With a BMus at Boston University and an MMus at UMASS-Lowell, he earned a graduate certificate in Jazz composition from the Berklee School of Music and completed DMA coursework in composition at the University of Connecticut. His compositions (for choirs and for instrumental ensembles of various sizes and combinations) have been well-received in NYC and Nashville, among other places. During his nineteen years as director of music at Pomfret School (CT), Barrie taught instrumental music and assisted with the choir. Now retired from teaching, Barrie plays oboe and English horn in the Civic Orchestra of Jacksonville and performs with his wife Lucinda as the Mosher Double-Reed Duo. Holding a BMus from Boston University and a MMus from UMASS-Lowell, Lucinda Mosher studied with Christa Rakich (organ and harpsichord, John Miller (bassoon), and James Cunningham (conducting). Lucinda has been a church choir director and organist for several decades, including a year in Florence, Italy. She is now music director at St Mary’s Episcopal Church (Green Cove Springs). She is a past dean of the NE Connecticut Chapter of the American Guild of Organists and a former columnist for the journal of the American Choral Directors Association. As a school music instructor, Lucinda took choral ensembles on concert tour to Europe, directed musicals, and produced early music performances. She was a member of Chelsea Winds, a New York City recorder ensemble. Currently, she is a bassoonist with the Civic Orchestra of Jacksonville and with the Mosher Double-Reed Duo. Lucinda also holds a doctorate in theology. Specializing in multifaith concerns, she is founder-principal of NeighborFaith Consultancy, LLC.  Lynne Radcliffe has been active as an accompanist, performer, and music teacher since moving to the Jacksonville area in 1983. She holds a Bachelor of Music in Piano Performance from Memphis State University, and returned to Tennessee in 2009 for a year of graduate study in musicology at the University of Memphis. Having taught at Episcopal High School for seventeen years, she now teaches music theory and piano at the First Coast Community Music School, and piano at University of North Florida. Since 2011, Lynne has served as Music Director at St. Paul’s by-the-Sea Episcopal Church in Jacksonville Beach—a position she also held from 1997-2004.  She also serves on the Beaches Fine Arts Series Board, and hosts WJCT Presents the Jacksonville Symphony Orchestra.